Wow, where has the week gone. 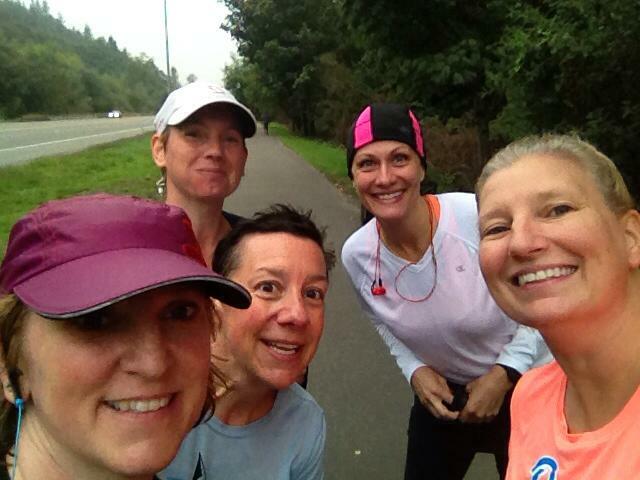 Last weekend I ran my long run at the Cedar River Trail. I started with Amy and Adrienne. We were all running 21 miles. The trail is our “go to” for long runs. It is the only flat area around and you don’t have to worry about street lights. About 4 miles in a car drove by honking, it turned out to be our friends, the 2 Wendy’s. They are both recovering from injuries, so they only joined us for a few miles. It was great to see them. At mile 12 I went ahead and finished the final nine on my own. My toe is still bothering me. I thought it was going to be no big deal, but it still hurts and looks gross. But marathon training doesn’t stop. After a long run I always want beef. I love a good burger, but I like it medium rare and not many restaurants will cook them that way. 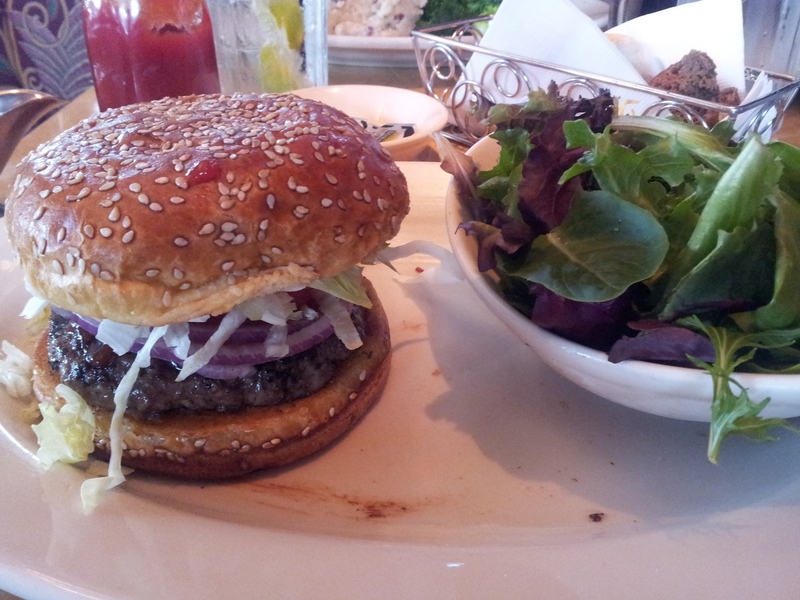 So we went to Cheesecake Factory where I know I can get a great burger. It did not disappoint. I got a phone call on Tuesday from my doctors office at SCCA. My last Herceptin is 10/23! I might have to buy myself the new Garmin 220 as a present. 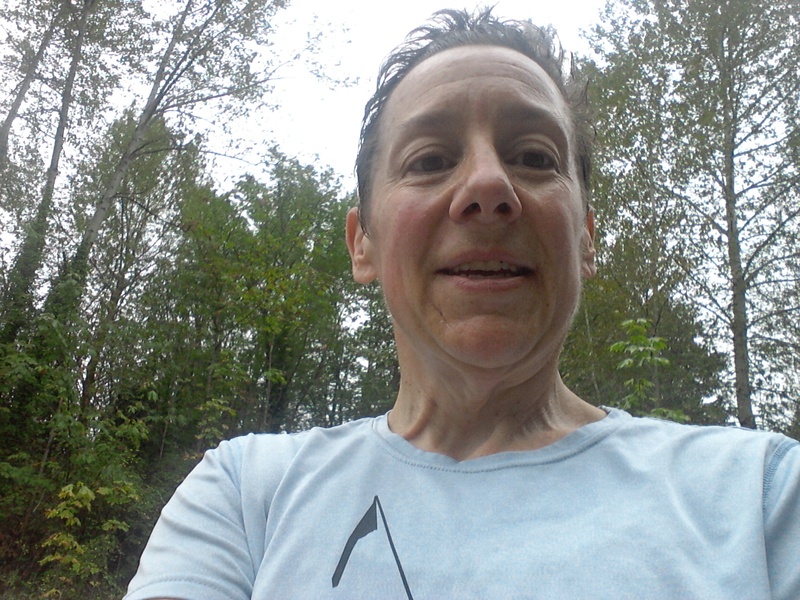 This entry was posted in Uncategorized and tagged Burgers, Cedar River Trail, Cheesecake Factory, Herceptin, NYC Marathon, SCCA, training run. Bookmark the permalink. I think i missed the Herceptin thing. I am sorry but it sounds like it is a good thing so congrats!!!! And of course yay for 21! I was diagnosed with breast cancer 8/12. Most of my treatment was completed by February, except going into the hospital every 3 weeks for the Herceptin infusion. I’m looking forward to being totally done and putting it behind me.